Parking the Volt in the reserved spot of a recharging station at Sausalito’s Molly Stone grocery was a treat I had never before had the opportunity to enjoy. While food shopping for 35 minutes, the Volt supplied itself with 3.2kH of energy at no cost to me. This two slot charging station, which has been active for nearly a year, provides your first hour of charge free of cost, with subsequent time available at minimal expense. Going into overtime gives new meaning to the word “charge” card. It takes 4 hours at 240V to give this Chevy a full blast of electrical energy. Free refills constitute the highpoint of Volt ownership. And there’s a lot to be said for letting someone else pick up your energy bill. In fact, those beneficent unseen others start picking up the slack for you the instant you buy a Volt because doing so qualifies you for a $7,500 federal tax credit. The dividends continue in the form of access to road surfaces others can’t use, like driving solo in HOV lanes at times of the day that would normally get you ticketed. The downside of Volt ownership is the simple fact that this heavy, somewhat lethargic vehicle isn’t exactly a blast to drive when you’ve selected the “Normal” rather than the “Sport” setting on the Driving Mode selector switch. In Normal Mode, overall performance is adequate for most drivers. Acceleration is modest. The CVT transmission is the culprit in this equation. It gives you a choice of just two ranges: Drive and Low. Unless you are moving very slowly, Low is useless for increasing momentum, so you’re stuck with the Drive range only. But if you select Sport Mode, acceleration is notably spunkier, and the Volt becomes a pleasure to drive instead of a chore. Of course, you’ll pay the price in increased fuel usage, but the Volt is so much more fun in Sport that you’ll want to select this setting every time you climb behind the wheel. The Volt’s Owner’s Manual is poorly segmented and indexed. It’s especially difficult to find any information about transmission usage, since there are no listings in the index for ”transmission.” or “shifting.” The only reference appears in a chapter mysteriously headed “Electric Drive Unit.” Call outs for dashboard and instrument panel controls are inexplicably identified by number on one page, with functions keyed to those numbers on a following page. This causes you to flip back and forth constantly from page to page in order to decipher the diagrams. Unlike the Owner’s Manual, Volt itself is a triumph of engineering. Unlike Nissan’s Leaf, which goes dead when its battery expires, the Volt will keep chugging long after the battery has died. The Xanax tablet for that range anxiety is the presence of Volt’s tiny displacement gasoline engine which Chevy calls a “Range Extender.” When the 1.4 liter gas engine propels the Volt without benefit of electrical power, you’re still good for 37 MPG, or just 2.7 gallons per 100 miles. 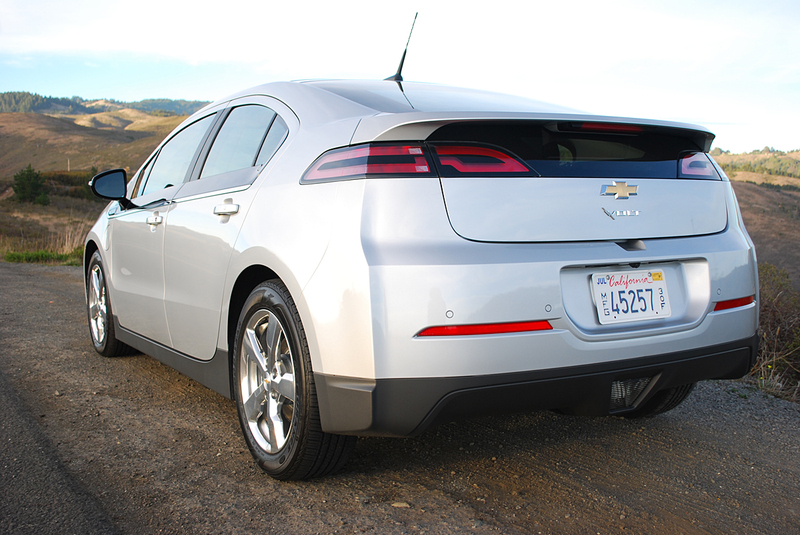 In pure electric mode, the Volt posts a stunning figure of 98MPGe, or 35kH per 100 miles. 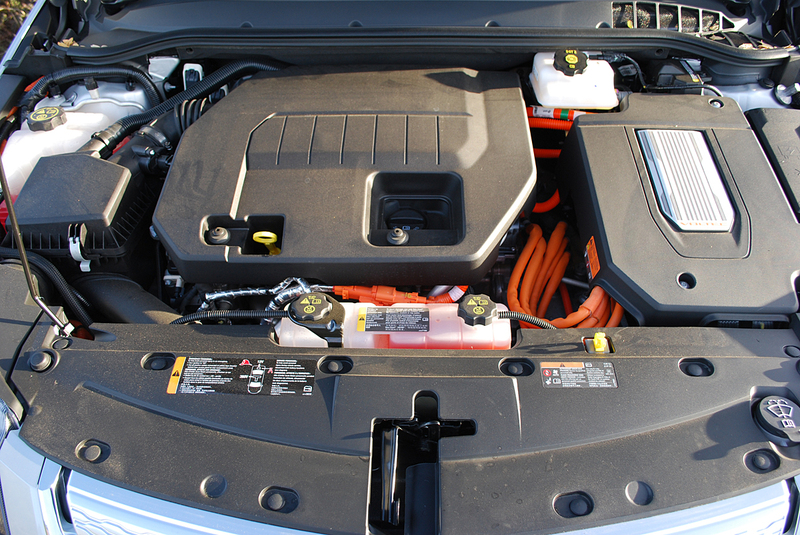 Thanks in part to its 5.5 foot long, 435 pound, lithium-ion battery pack, the Volt weighs 3,781 pounds. That near two ton curb burden becomes noticeable when you attack a series of corners on a back road. 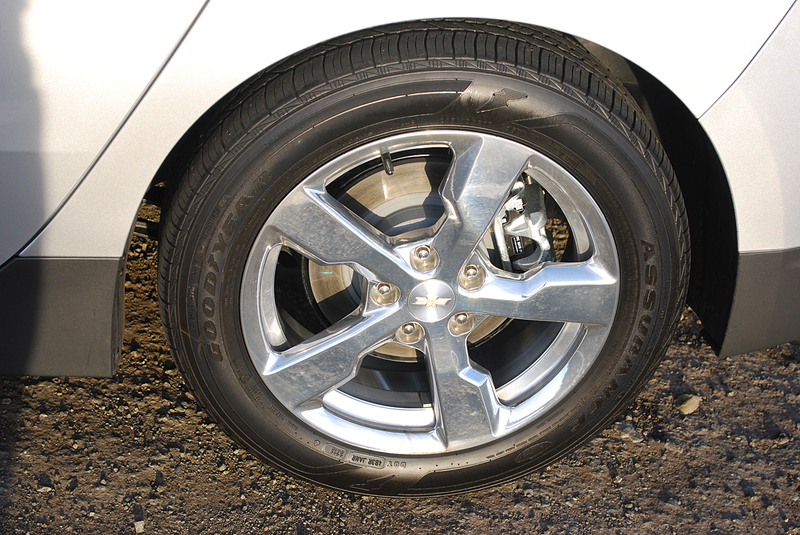 The low rolling resistance 16 inch tires don’t provide a lot of grip, so the front end tends to wash out early on corner entry. This behavior makes you lift throttle as the tires lose grip. 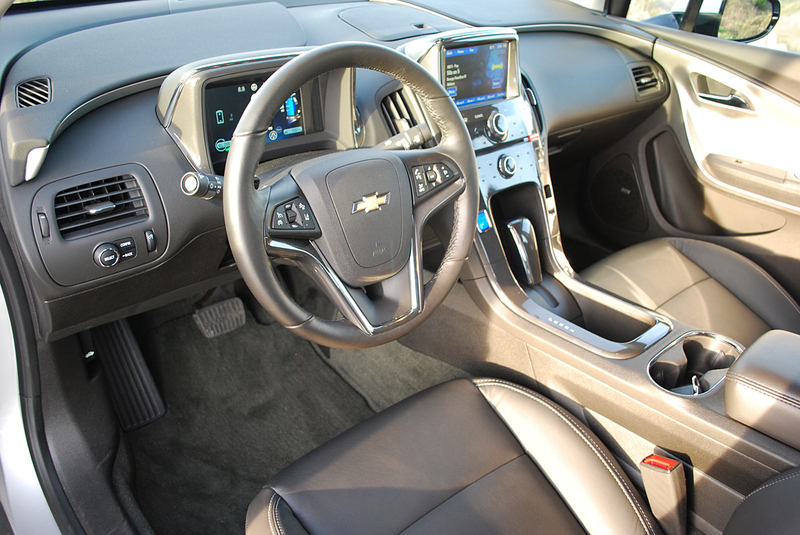 In case you are slow to respond to the message from your contact patches, Chevy has th (oughtfully supplied the Volt with traction control and Stabilitrak stability management. Worst case scenario backs you up in the event of a collision with no fewer than 8 airbags and 3 years of free On Star auto crash response. Inside the survival cell, the Volt is easy to love. It affords great sightlines in all direction. Even the somewhat veiled lower rear view benefits from a strategically placed glass panel. Our test Volt enjoyed augmented vision thanks to 2 optional Safety Packages. The first ($575) provided a useful beeper and camera to discern rear proximity issues, while the second ($595) included Front Park Assist and Camera, Lane Departure Warning, and Front Collision Alert. Chevy does a nice job of integrating these aids into your daily driving routine. Unlike so many similar offerings from other manufacturers, these Safety Packages never become intrusive. The instrument binnacle of the Volt is intimidating. If you’re the kind of person who can read every piece of information on CNBC’s Squawk on the Street at the same time, you’ll love the Volt’s information center, because Chevy has crammed 35 separate pieces of news into your viewfinder. I learned to ignore 90 percent of them and was quite happy to do so. 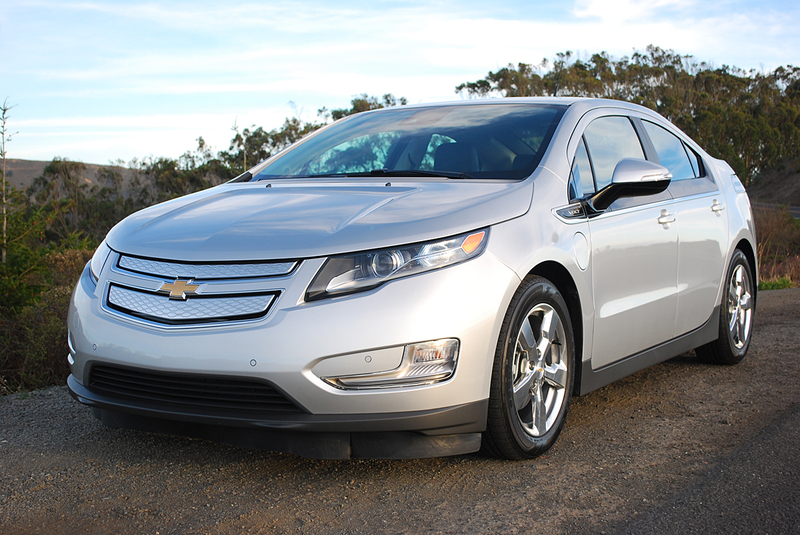 The Volt is a marvel of technology. Its drive train is an engineering dream, a real home run. It’s still early enough in the model cycle to be the first on your block to claim admission to the 21st century. That you can do so for just $39,545, guarantees you a spot in the Acumen Hall of Fame.